When temperatures get warmer, termite activity tends to increase. These bugs spend the warmer part of the year expanding their colony, which means that they can cause more damage to homes as they feed on wood. SC homeowners should learn more about a few of the most common termite species that Hilton Head area pest control experts often deal with in early March. 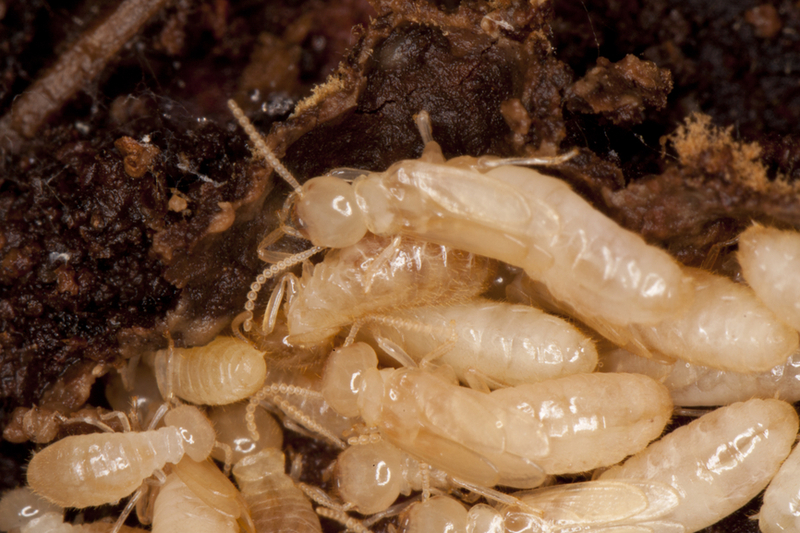 Subterranean termites are the biggest threat to SC homeowners due to the amount of destruction they cause. These termites make their nests underground or in above ground areas that provide them with plenty of moisture and shelter. Some of the colony members travel back and forth feeding on wood as they make their colonies bigger or start new colonies. Subterranean termite colonies can have millions of members, which makes them capable of feeding on large amounts of wood over time. This can result in enough damage to cause structural problems inside your home. Drywood termites are another species that you might need Hilton Head area pest control services for this time of year. These termites feed on sources of drywood rather than the moist wood that other termite species prefer. Instead of feeding on decaying or moist wood inside walls, they feed on structural walls, attic joists and other areas of drywood in homes. Drywood termites can also get into your home when you bring in wood items, such as used furniture. These termites have a smaller colony size compared to subterranean termites, but don’t let that fool you. They can still cause a significant amount of damage to your home. Formosan termites are another destructive species that infests moist sources of wood. These termites can also become a problem for trees and shrubs if they feed on the cellulose in their bark. Formosan termites are able to form colonies that number in the hundreds of thousands or even millions of members. This large colony size and their voracious appetites means that they can cause tremendous damage in a short amount of time. Termite infestations involving any species need to be taken seriously and treated as soon as possible. This helps lower the risk of severe structural damage to SC homes. Hilton Head area pest control services can provide you with treatment to eliminate termite colonies. Different methods of treatment can be used to handle termite infestations, such as using bait stations or having the ground treated with chemical products. The treatment that works best depends on the type of termite species that is present and other factors, such as how large the colony is and where the nest is located. – Fix leaks to prevent them from making the wood in your home moist, which can attract termites. – Look for mud tubes attached to the exterior of your home, such as near windows and doors or on your home’s foundation. – Keep piles of firewood stored a minimum of 20 feet away from your home and elevated to prevent termites from infesting them. – Make sure that any beds of mulch you have around your home are a minimum of 15 inches away from the exterior. – Schedule regular termite inspections at your home, so that infestations are caught and treated early. – Check for signs of termite problems, such as discarded wings or holes in wood, and have Hilton Head area pest control technicians come to your home for an inspection and treatment if you spot any. If you think you might have any of these termite species in your home, Island Pest Control can help. Our Hilton Head area pest control services can get these bugs out of your home before they’re able to cause severe damage.